Product prices and availability are accurate as of 2019-04-21 15:37:20 UTC and are subject to change. Any price and availability information displayed on http://www.amazon.com/ at the time of purchase will apply to the purchase of this product. 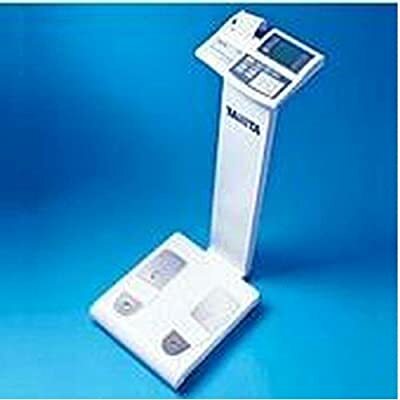 Competitive Edge Products, Inc is pleased to offer the fantastic Tanita TBF-410-GS HMS Body Weight Composition Analyzer Scale The Tanita TBF-410-GS HMS Body Weight Composition Analyzer Scale includes a load cell integrated display and thermal printer, printing fat mass, fat overall, body water, BMR, and preferable ranges. Equippted with adult and athlete modes, this physician scale is an excellent tool for those keeping an eye on their ever-changing health. Provides a RS-232 port to connect to computers. The wide, low platform makes use effortless. One position load cell Integrated display and thermal printer.